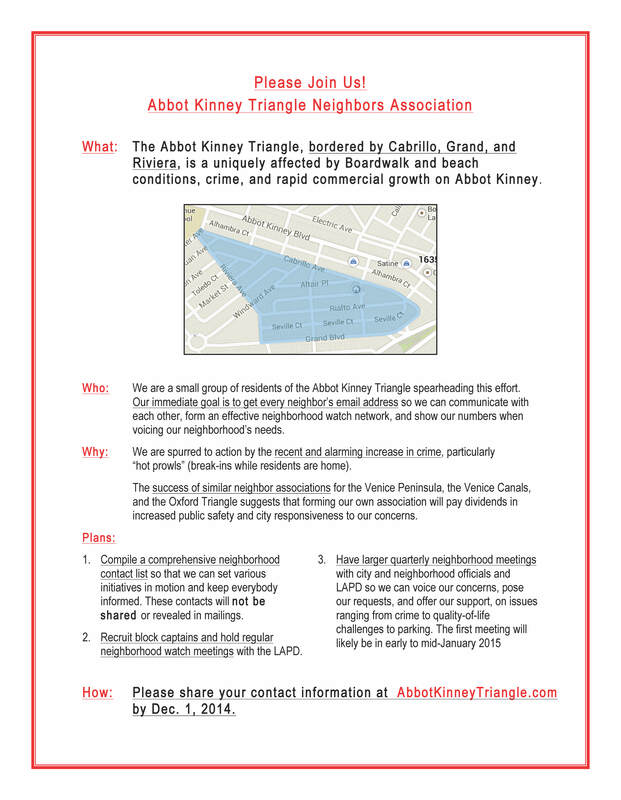 Thank you for responding to our call for neighbor unity in the Abbot Kinney Triangle. Please subscribe to our newsletter, the primary mode of communication for the AKT, immediately to the right of this post. Together we will voice our neighborhood’s needs! GREETINGS AKT NEIGHBORS AND HAPPY SPRING!